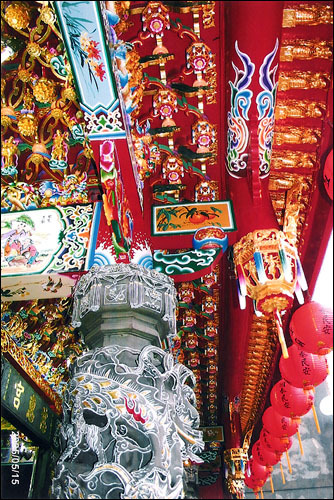 Mazu gilded images were transported by Buddhist monks from Tangshan, China across the strait to Taiwan The devout Mazu followers donated money to build Mazu temples. 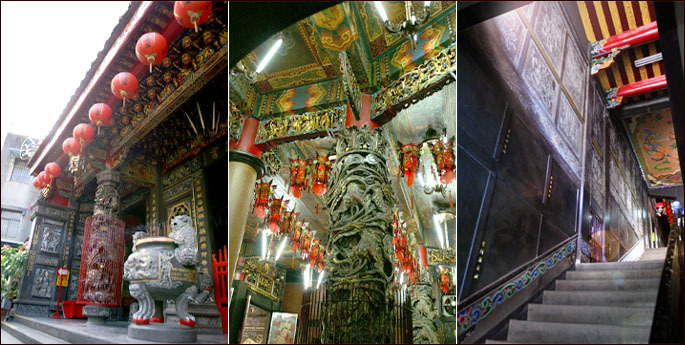 The Cihui Mazu temple was also founded in this way. There was a legend that a Buddhist monk from Tangshan carried a gilded image of Mazu here. 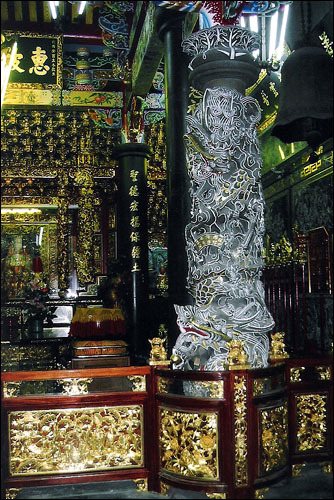 Most of the gilded images of Mazu were moved from Meizhou Island, Fujian to Taiwan. While the monk traveled to Bangliao village in Peitsie Fort. 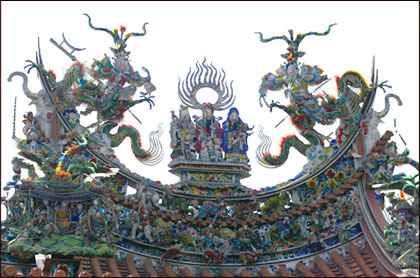 The 72 local villagers appealed to Mazu by asking them to stay and to give them blessings. 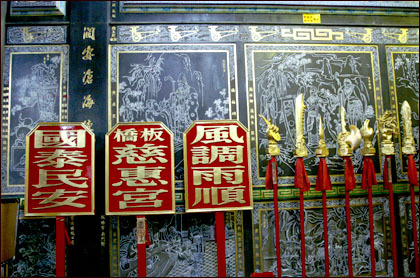 The Jinpu Association was established and a small temple named the Cihui Mazu temple was bulit. Sacrifices were offered in the holy shrine of the temple in remembrance of the 72 founders of Jinpu Association.